Beantown Blankets started off as a class project, but Maxwell Perry was in it for more than a grade. In January 2016, the Babson College junior hit the ground running during his freshman year Foundations of Management and Entrepreneurship course. The class of 40 students broke into three groups to launch their own businesses with the school providing seed money. Perry was his group’s CEO. Before stepping foot on the Wellesley campus, Perry sat down at the dinner table with his mother and brainstormed business ideas that he could use. His mother recalled a story about a prized possession from her childhood: her blanket. 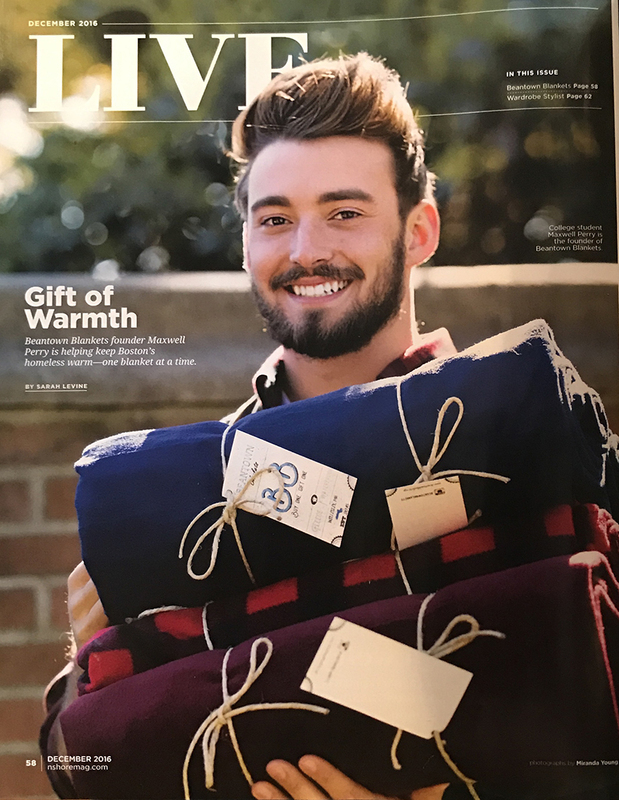 Inspired, Perry came up with Beantown Blankets, an organization that donates one blanket to a homeless individual or shelter for every blanket sold. 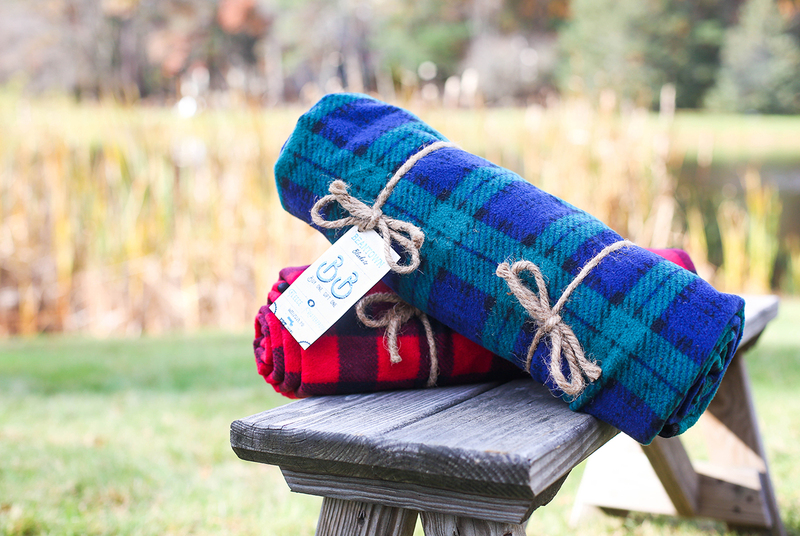 The uniquely designed blankets have soft fleece on one side and waterproof material on the other, making them both comfortable and functional for outdoor use. The blankets fold into themselves with a pocket and carrying strap, coming in three festive plaid patterns and a range of solid colors. When the FME course concluded in the spring of 2016, all of the class businesses were closed down. But Perry knew he was onto something too special to simply stop. With the help of friends and family rolling blankets, making deliveries, and spreading the word, Beantown Blankets has donated more than 3,000 blankets to those in need. Perry is always quick to give his mother, Shelley, the credit for the idea, which is now a thriving enterprise. “I trust my mom’s opinions when it comes to marketing ideas and what looks good since she was the inspiration behind everything,” he says. 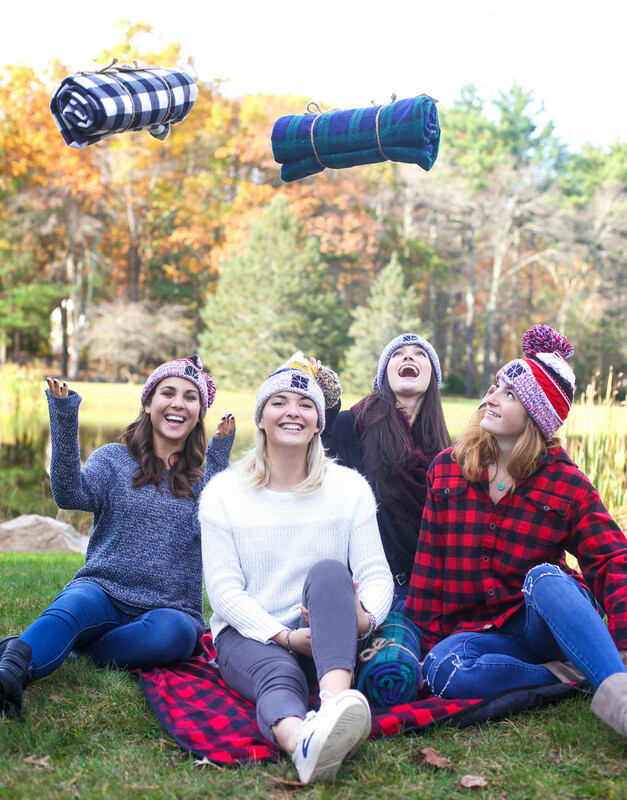 Recently, Beantown Blankets has expanded into the promotional product industry and is now designing custom blankets for corporate clients including Delta Airlines, Yahoo, Reebok, and Car Gurus. Perry says they’re also expanding the product line with the introduction of Beantown Beanies. For every hat sold, they donate a fleece-lined beanie to a shelter. The new line will be launching this month. Looking to serve more than just Boston, Perry will travel to Atlanta to hand out blankets to the Atlanta Food Bank with Delta employees; he hopes that similar partnerships can be formed with cities across the country. Perry sees himself as the next generation of entrepreneurs, creating businesses that not only create jobs but also fulfill social and societal needs, as well. With business booming, Perry took this fall semester off to handle the holiday rush orders, planning to return to school in the spring. This extra time to focus on the business allows him to make more personal contributions, outside of scheduled shelter drop-offs. Perry says he often grabs a group of friends and hits the streets with blankets in tow, sometimes with surprising results. But the most heartwarming story Perry can remember happened last December. 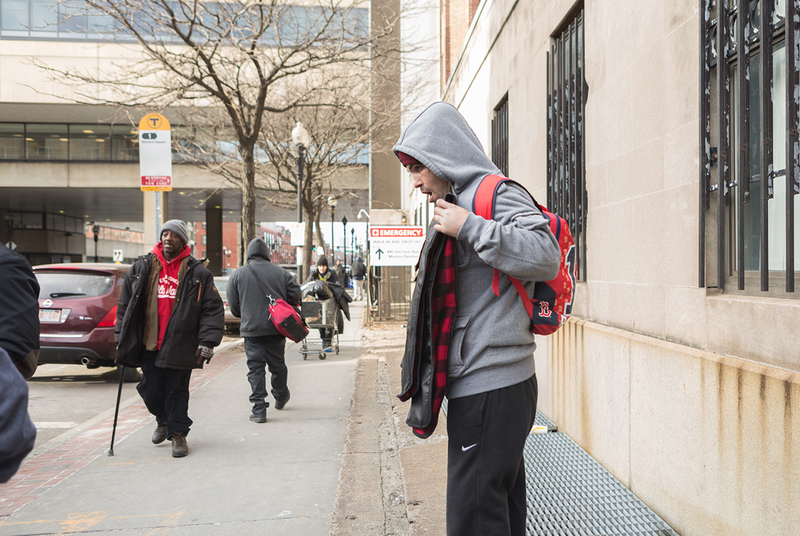 He was walking downtown when he came across a homeless woman in a wheelchair. Perry ran to his car to grab some blankets and came back to offer her one. 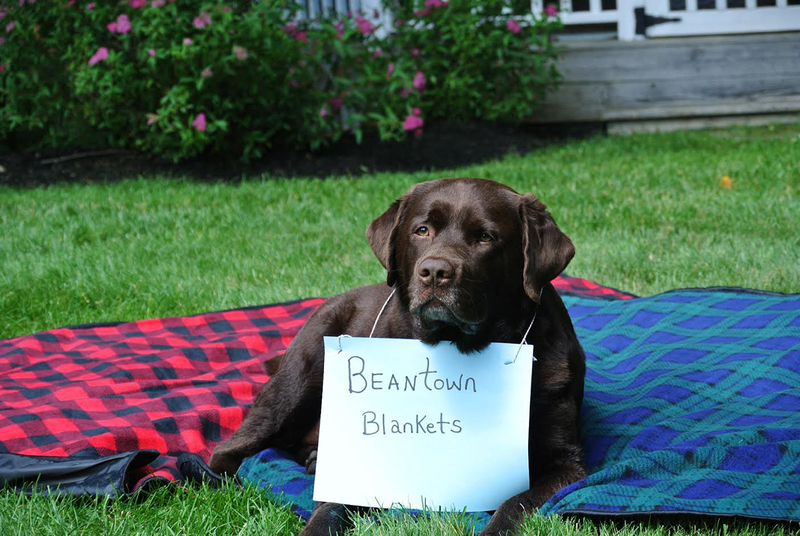 For more information on Beantown Blankets and to order your own, visit beantownblankets.org.